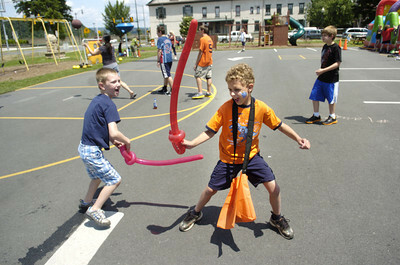 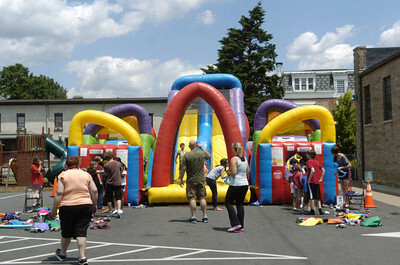 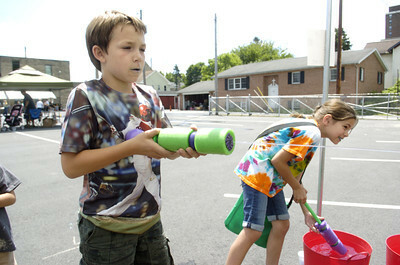 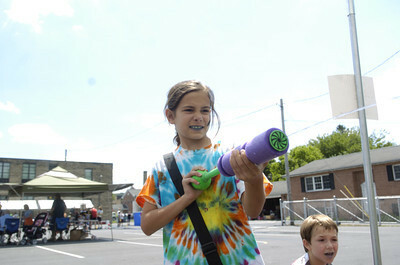 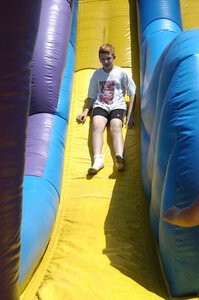 St. Monica School students Dominic Cecco, 9, left, and Sarah Kelsey, 9, play a game at the school's carnival on Thursday. 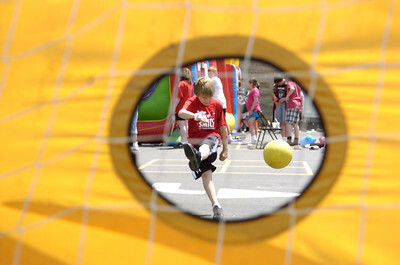 St. Monica student Dylan DeFazio 10, tries to kick a soccer ball through a opening at a game Thursday afternoon at St. Monica's school carnival. 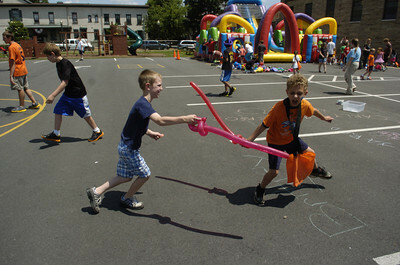 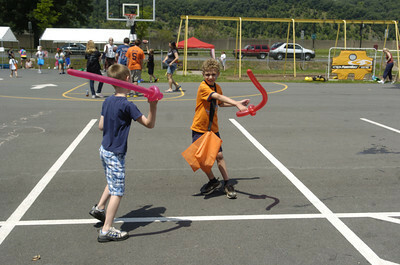 St. Monica students Connor Andretta, 7, left, and Collin Kline, 9, have fun with their balloon swords at the school's carnival on Thursday. 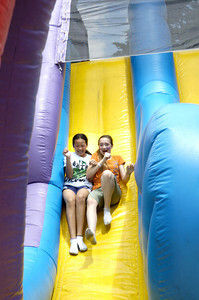 Best friends Kathy Tran, 12, left, and Sabrina Sinsel, 13, go down a slide on Thursday during St. Monica's school carnival in Sunbury. 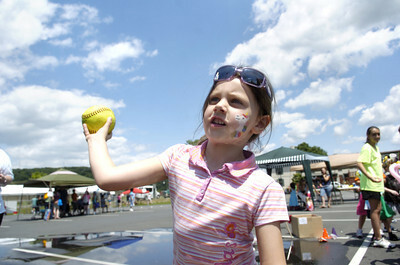 Anna Keer, 5, throws a softball at a dunk tank Thursday afternoon at St. Monica's school carnival.